Mahalaya 2018: It’s Mahalaya today, the last day of Pitri Paksha. Goddess Durga arrives on her yearly sojourn to Earth as Devi Paksha begins tomorrow. Like every year, most Bengali households wake up at the crack of dawn today to accord the Mother Goddess the ritualistic welcome by playing the Mahishasuramardini composition, a timeless classic. Composed in 1931, originally for radio, the 90-minute musical presentation narrates the creation of Goddess Durga to save the gods from the tyranny unleashed by the buffalo demon, Mahishasura. Set to tune by Pankaj Kumar Mullick, the composition used to be for many years performed live at 4 am every Mahalaya by top artistes of the time. It was finally recorded in 1966, after which the All India Radio started playing the recorded version. The composition comprises a rich narration and Chandipath by legendary Birendra Krishna Bhadra and a medley of devotional songs by popular artistes including Supreeti Ghosh, Dwijen Mukhopadhyay, Manabendra Mukhopadhyay, Arati Mukhopadhyay, Utpala Sen, Tarun Banerjee, Krishna Dasgupta, Shyamal Mitra, Sandhya Mukhopadhyay, and Pankaj Mallick himself. If you are in West Bengal, just switch on your radio. A little tuning will catch the station playing Mahishasuramardini. If you are not in West Bengal, go to All India Radio website and select AIR Bangla. In case you cannot get up so early in the morning, or cannot hear the radio programme due to any other reason, YouTube can come to your aid. There are many YouTube channels where the original recording has been uploaded. Several TV channels will also be airing the programme live. From Zee Bangla to Star Jalsa to Colors Bangla, most Bengali channels have shows scheduled for the occasion. 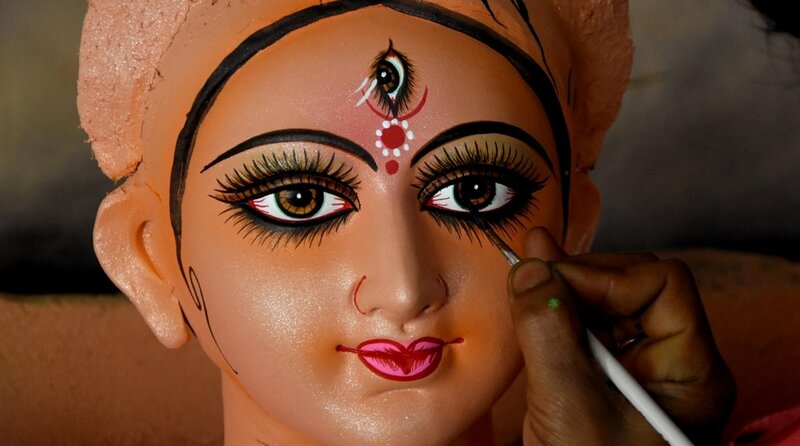 Here’s wishing all of you a very happy Durga Puja.